Francis Paganini passed the French test that's mandatory for Quebec-based workers who want to apply for permanent residency in Canada. Just weeks before his work visa was set to expire, he learned his results had been downgraded after being double-checked at the government's request. 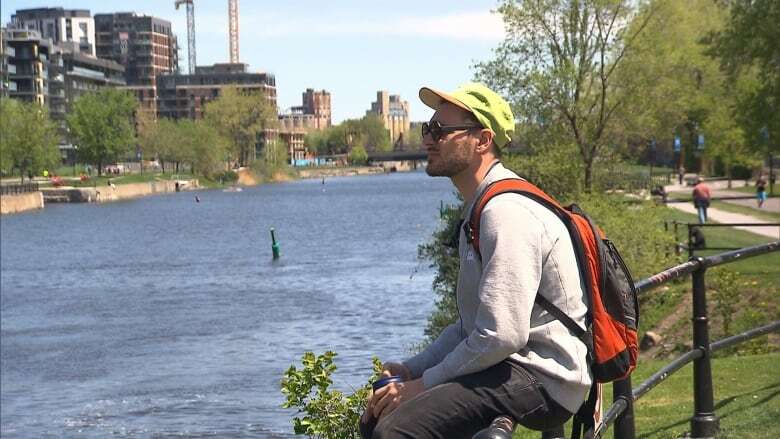 A Montreal man says his bid for permanent residency in Canada is in jeopardy after the Quebec government questioned his level of spoken French. "This is mad," said Francis Paganini, who moved from Italy two years ago to take a job at a gaming company. "I just can't believe it." Paganini came to Canada in 2016 on an open work permit. He liked Montreal and decided soon after arriving he wanted to stay. He qualified for the Quebec Experience Program, which fast-tracks skilled temporary foreign workers for the Quebec selection certificate (CSQ). Paganini needed the certificate before he could apply for Canadian residency. Paganini already speaks English and Italian but needed to meet the CSQ's French-language requirement: an intermediate knowledge of oral French. For a year, he took French classes in the evening, 10 hours a week. Last fall, he felt he was ready to take the test for evaluating French for access to Quebec, known by its acronym, TEFAQ. Paganini was thrilled when he got the marks he needed to apply for his selection certificate. 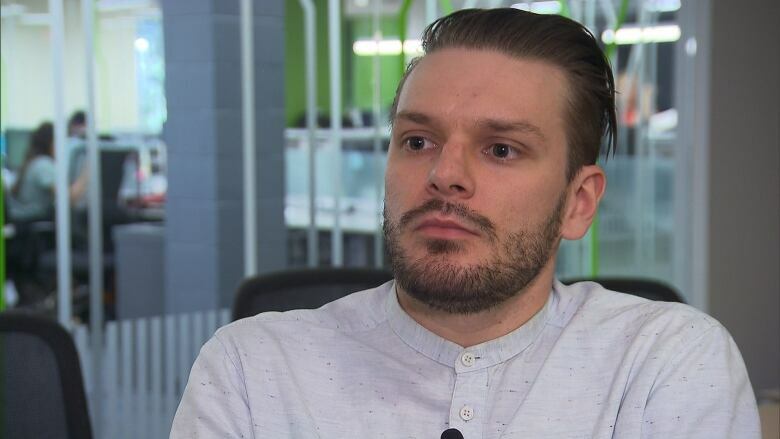 But within weeks of sending in his application, he got a letter from the Quebec Ministry of Immigration, saying it was doing a more "in-depth" investigation of his file. "I immediately thought, that's weird," said Paganini. It usually takes 20 days or less to process requests, but the letter didn't mention how long that review would take. When his wait turned into months, his colleagues tried to reassure him. "Everyone was saying, 'You know, they are probably overwhelmed with applications. This is just a small hiccup. You'll get it,'" said Paganini. Despite countless calls and emails to the government, Paganini couldn't get any answers. Finally, at the end of April, six months after he'd taken the exam, he got the bad news. The Chamber of Commerce and Industry in Paris, France (CCIP), which administers the TEFAQ for the Quebec government, told Paganini the ministry had asked it to double-check his spoken French mark. The CCIP then changed his mark from that given to someone who speaks French with ease to that of someone who is limited to simple conversations. The lower mark meant Paganini, 27, no longer qualified for the selection certificate he needs to get his permanent residency. Worse, it had taken so long for Paganini to get the update, he only has a few weeks left on his working visa. "I couldn't believe it," said Paganini, who still doesn't know what triggered the review. In the meantime, he'd made plans to continue his life here, renewing his job contract, signing a lease and paying for private health insurance. "They're putting me in quite an awful situation," said Paganini. Stunned, he complained to the CCIP about the huge discrepancy in the marks. While sympathetic, Paganini said the CCIP told him the results of the verbal exam can vary because they rely on "human evaluators" who sometimes have different opinions. "How could the examiner have got it so totally wrong?" said Paganini, who has filed a complaint with the provincial ombudsman. "It seems like a completely arbitrary decision," he said. "There was no linguistic feedback or explanation as to why my mark was lowered." Paganini was also incredulous that the CCIP failed to inform him of its error earlier, giving him a chance to take more classes so he could improve his grade before his temporary visa ran out. "Everything turns on this," said Paganini. 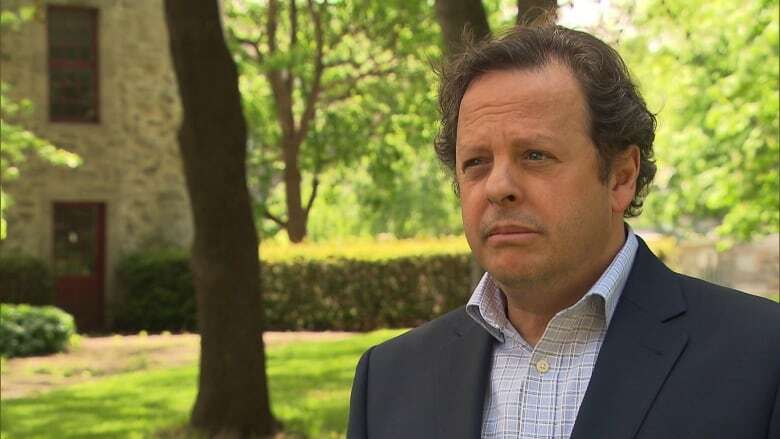 The Ministry of Immigration told CBC close to 2,900 skilled temporary foreign workers like Paganini applied for permanent residency under the Quebec Experience Program. 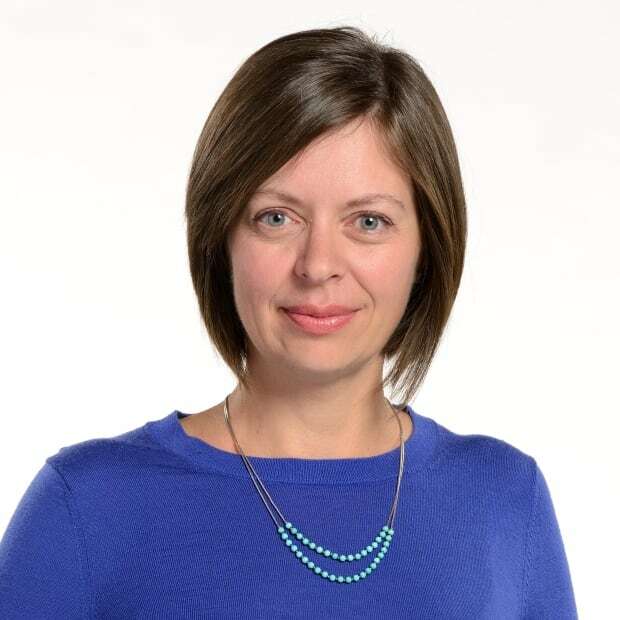 In 2017, the ministry rechecked the TEFAQ scores of 97 applicants, said spokesperson Chantal Bouchard. The main concern was the spoken French portion of the exam. More than two-thirds had their marks lowered. Four months into 2018, the ministry has already asked for 136 follow-ups, says Bouchard. When pressed as to what's triggered the recent flurry of reverifications, Bouchard would only say they're done when "something" in a candidate's profile raises concerns about that would-be immigrant's level of French. It could be because the person is from a non-French-speaking country, she said, or because they hadn't taken enough French courses to explain a high TEFAQ result. "Verifications were necessary to ensure the integrity of the program," said Bouchard in an email. Immigration lawyer David Chalk says he's seeing more and more clients whose TEFAQ results have been questioned. That's unfortunate for people like Paganini, Chalk said. Believing they have passed, people are forking over the $800 fee to apply for the Quebec selection certificate. If the government later decides their French isn't good enough, they lose that money, he said. "They are put in very bad situations as to their status in Canada because of this uncertainty," said Chalk. Chalk said if the government no longer trusts TEFAQ scores, it needs to either make sure the testing organizations are much more rigorous or find a more reliable test. 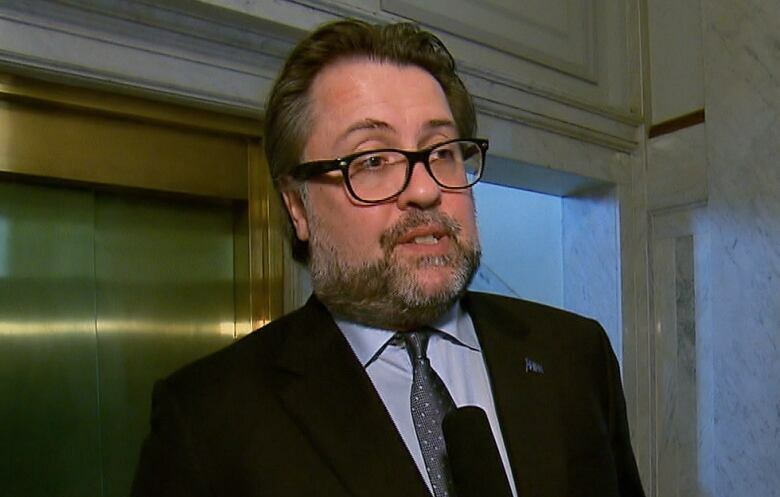 Immigration Minister David Heurtel defends both the test and the Quebec Experience Program, saying in 94 per cent of cases, applicants are accepted once they pass the TEFAQ. "It's a pretty efficient system," Heurtel told CBC. He says that Quebec has seen an increase in the number of people who want to settle here. "I don't see anything wrong about being more meticulous," said Heurtel. "The end result is about having people that come here and who can work in French." As for the test itself, Heurtel also failed to explain why there's been an increase in the number of checks recently. He did say the ministry works closely with the CCIP in Paris to ensure the test is being done properly by accredited centres. The CCIP did offer to let Paganini retake the TEFAQ for free after he complained strenuously. He did that at the end of May. He received his results, which reconfirmed his lower mark. Now he says he's not sure what he's going to do, but he hopes he can avoid having to uproot his life and everything he's worked for here. "I want to stay here. I like this country and I feel like I fit in."